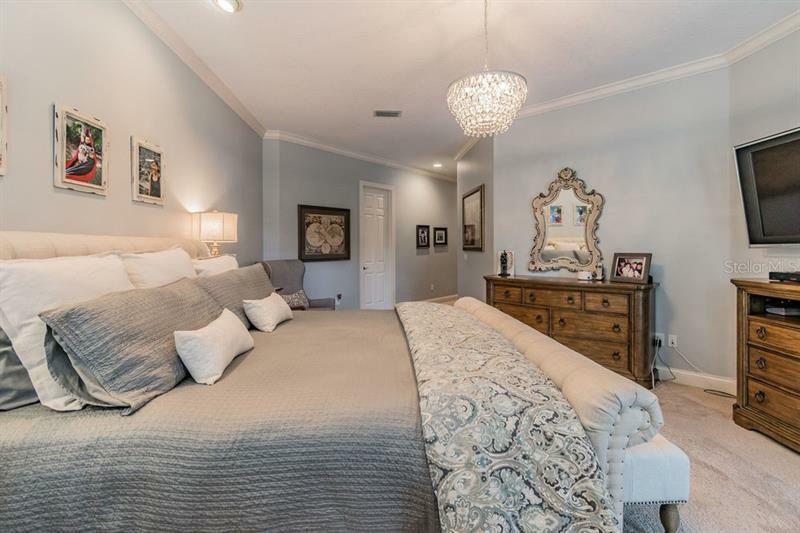 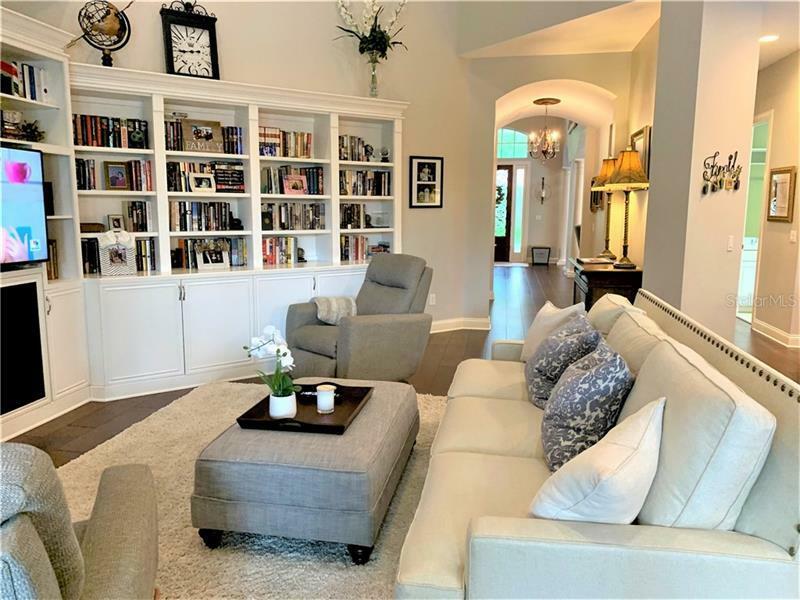 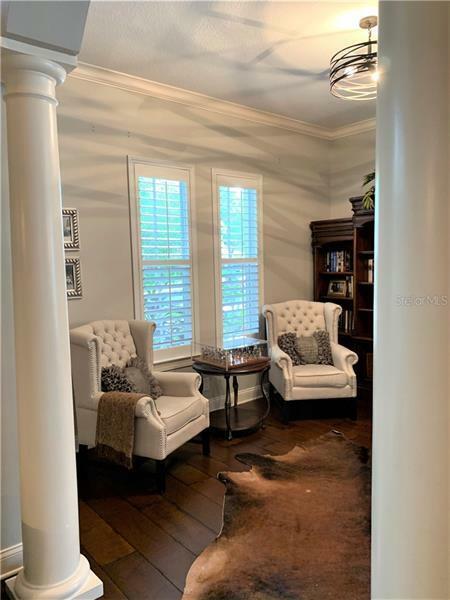 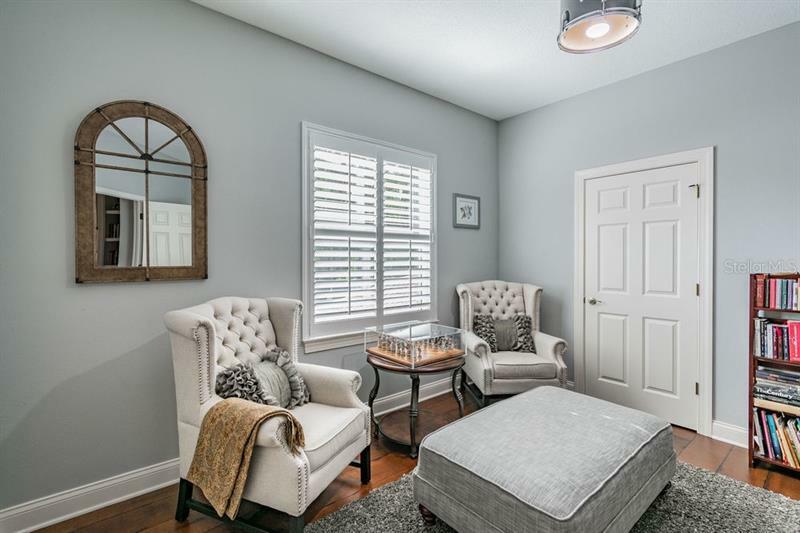 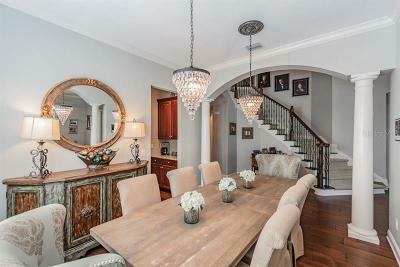 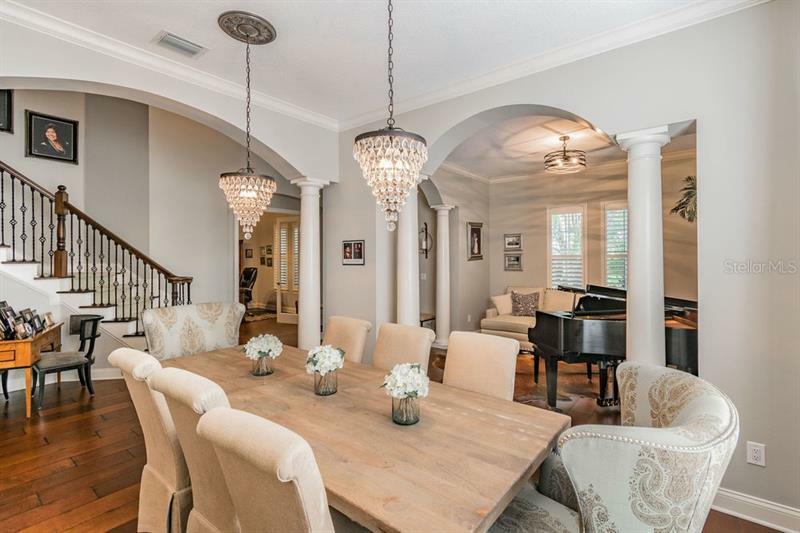 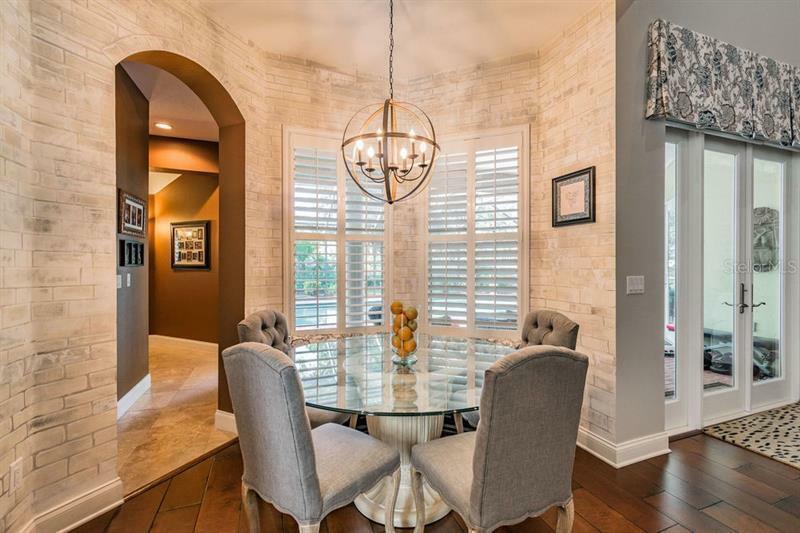 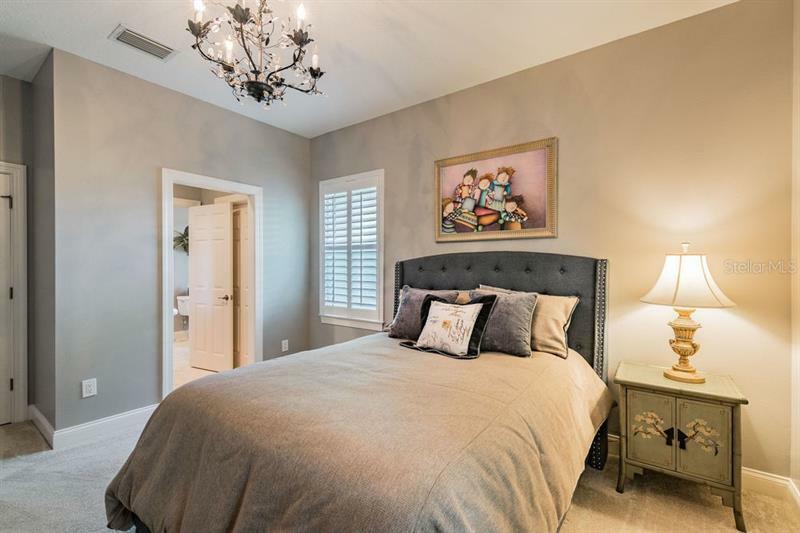 This elegant home has been remodeled, updated, and has a sense of timelessness. 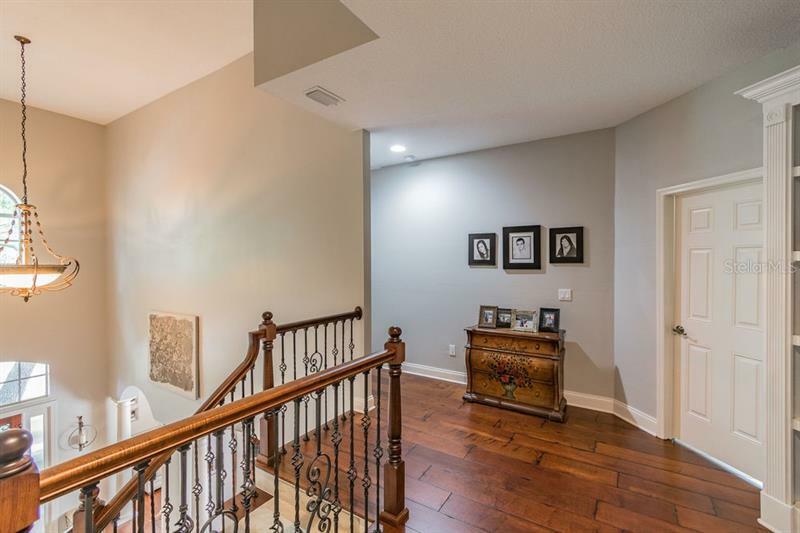 The exquisite hardwood floors flow seamlessly throughout the first floor. The living and dining rooms are so pretty with lovely drapes and stunning chandeliers. 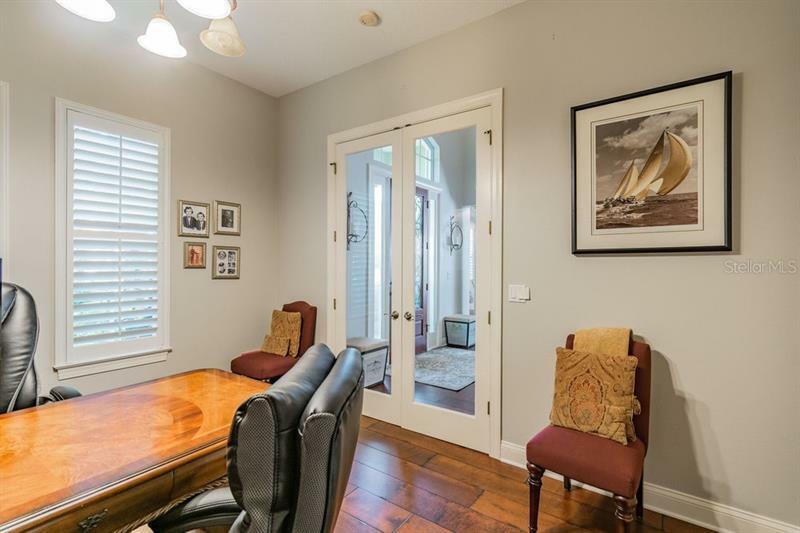 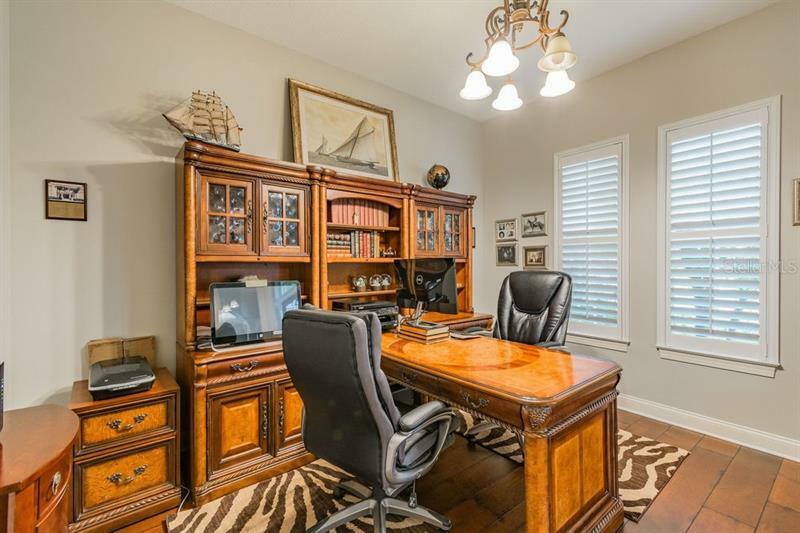 The home office is a quiet space with french doors that is also light and bright. 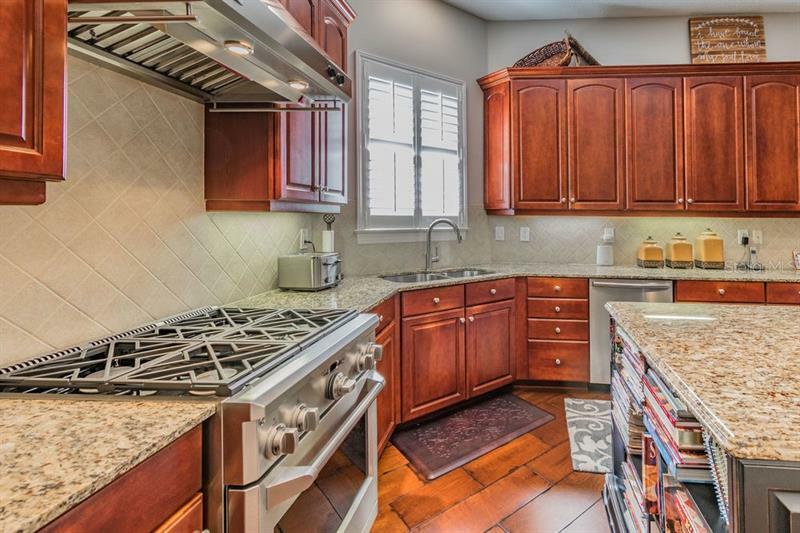 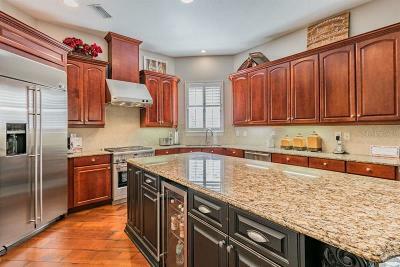 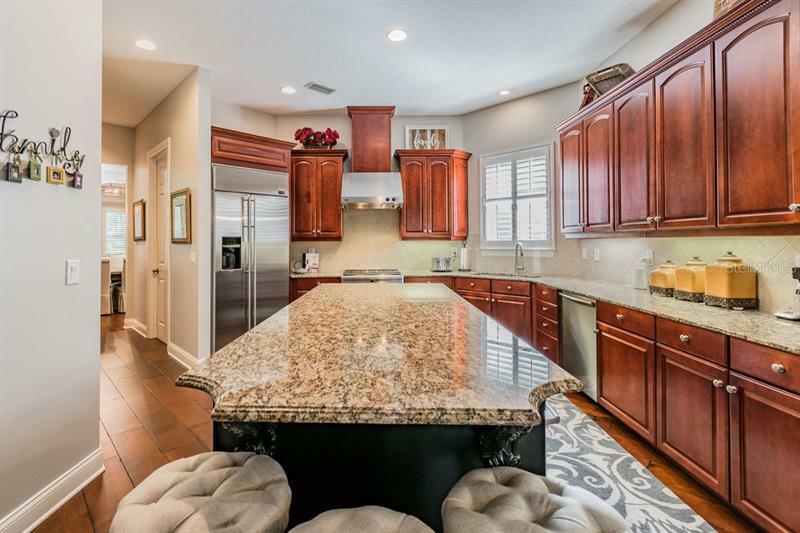 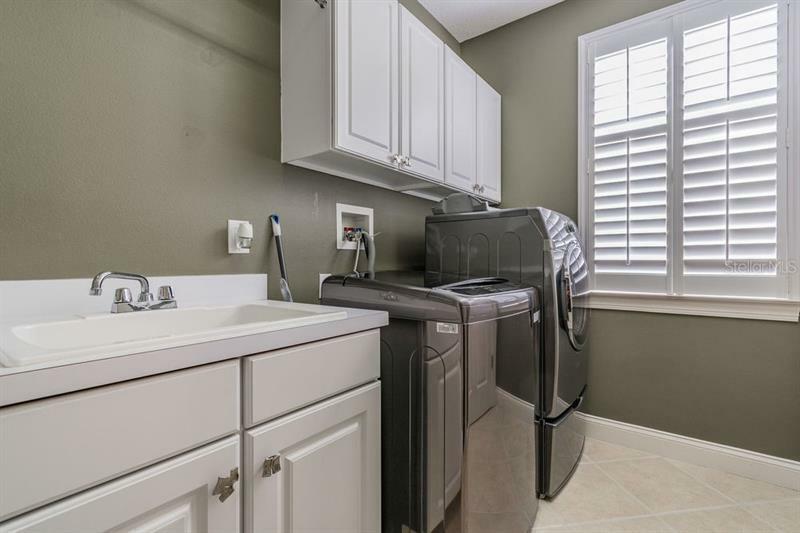 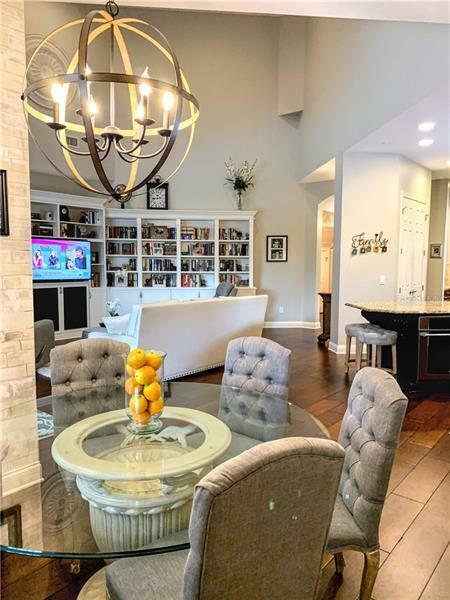 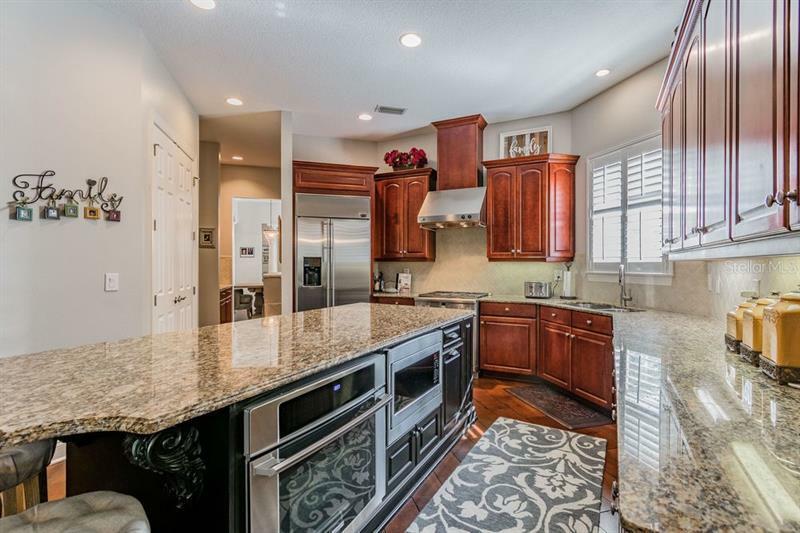 The kitchen has been remodeled and is perfect for the inspired home chef with a gas stove, stainless steel appliances, and a gorgeous center island with beautiful granite and an additional oven. 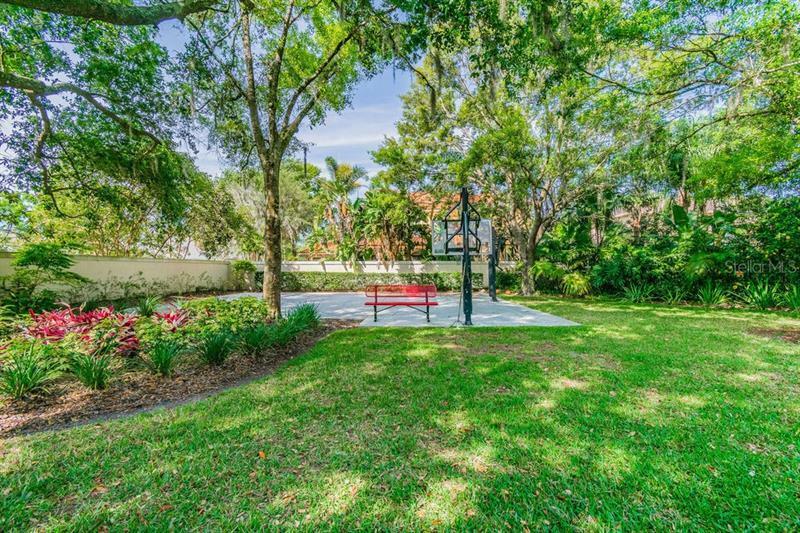 A few steps away is the built-in bench for you to enjoy the views of the pool and captivating backyard with a custom basketball court. 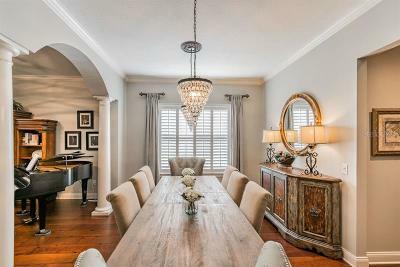 The great room has soaring ceilings and custom built-in cabinets. 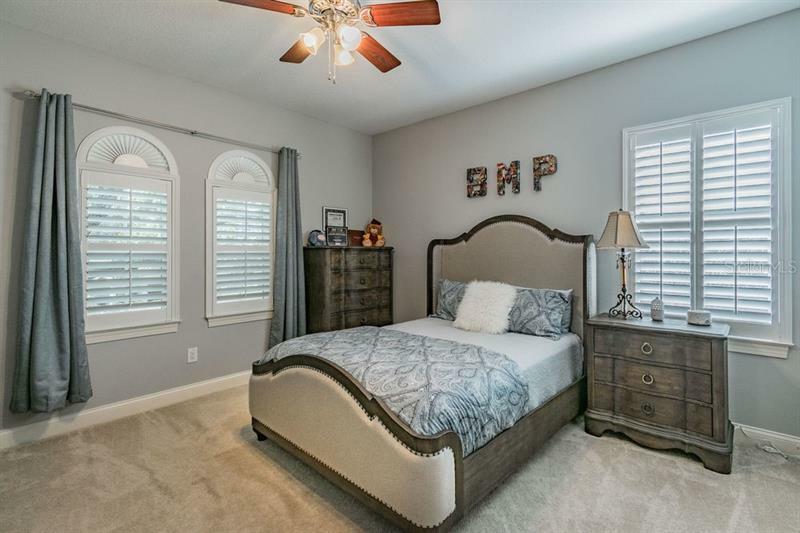 The first-floor master bedroom is stately and serene with french doors. 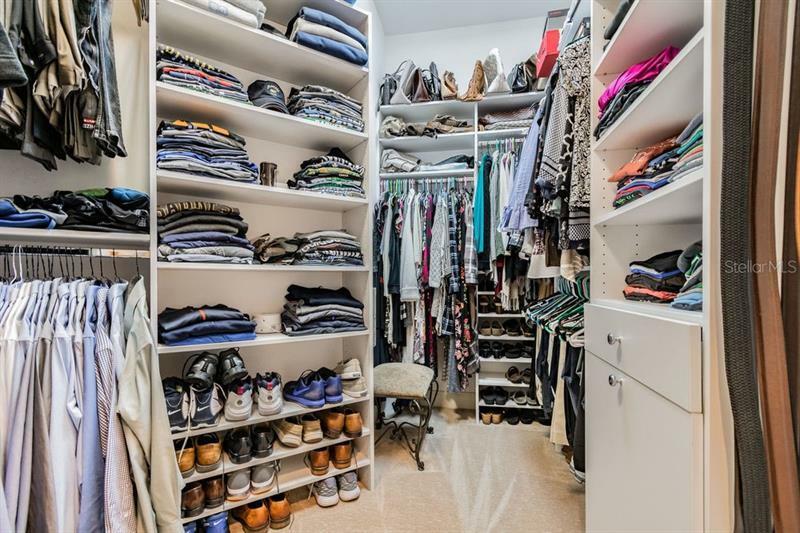 The closets are large and every closet has custom closet systems. 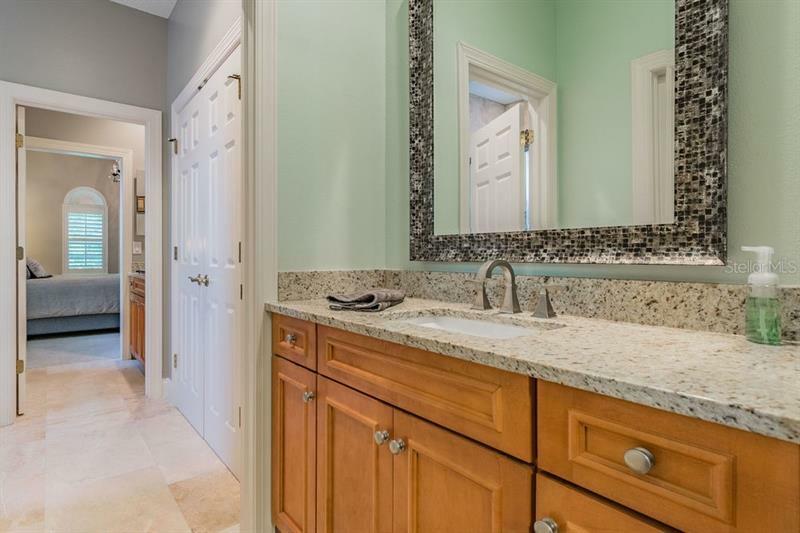 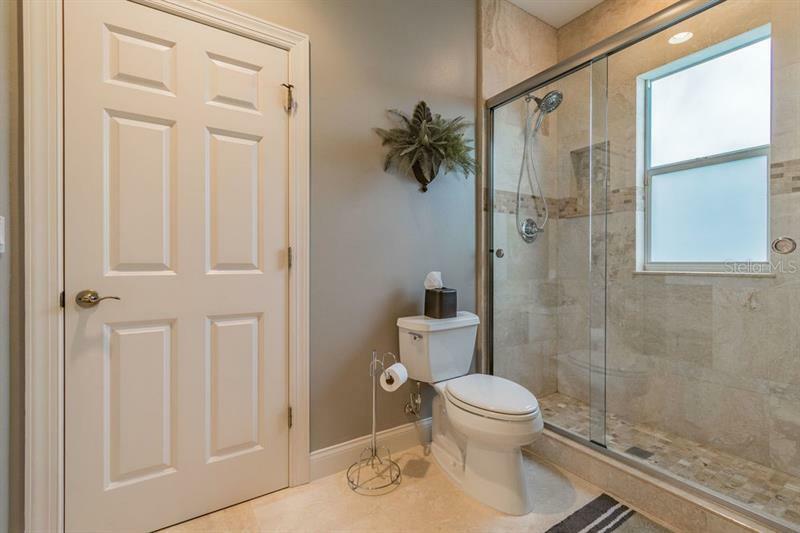 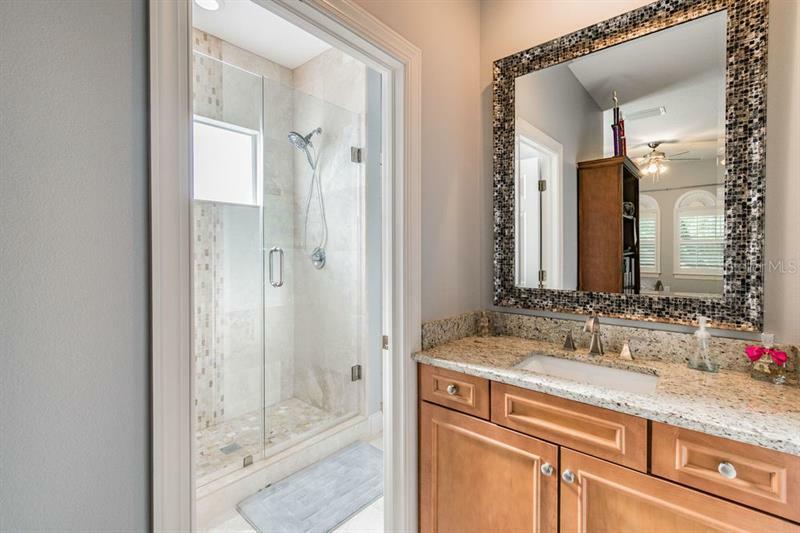 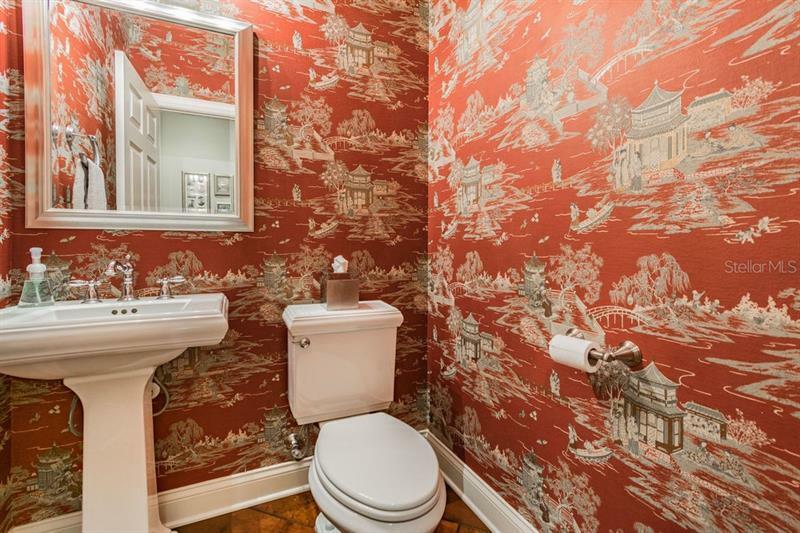 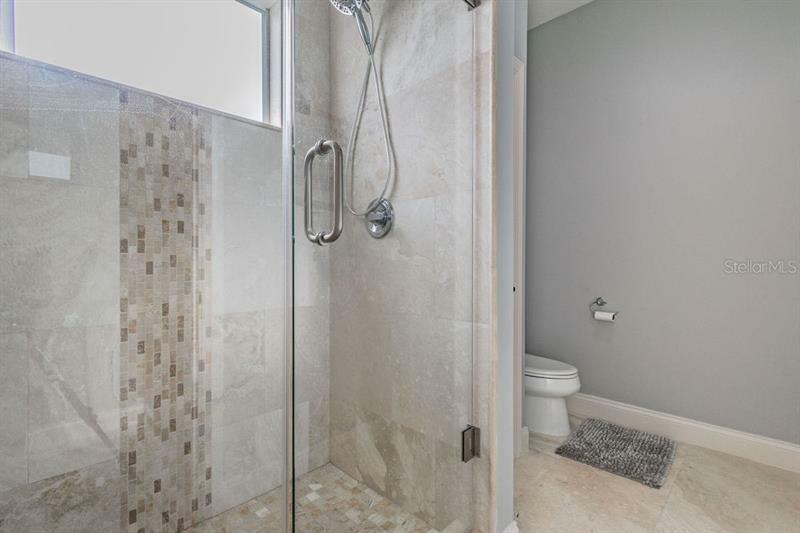 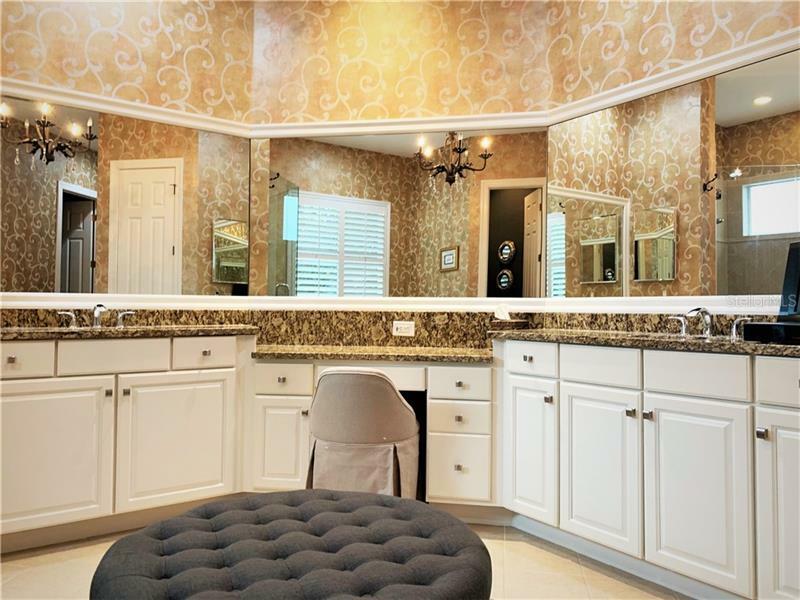 The master bathroom is luxurious and spacious. 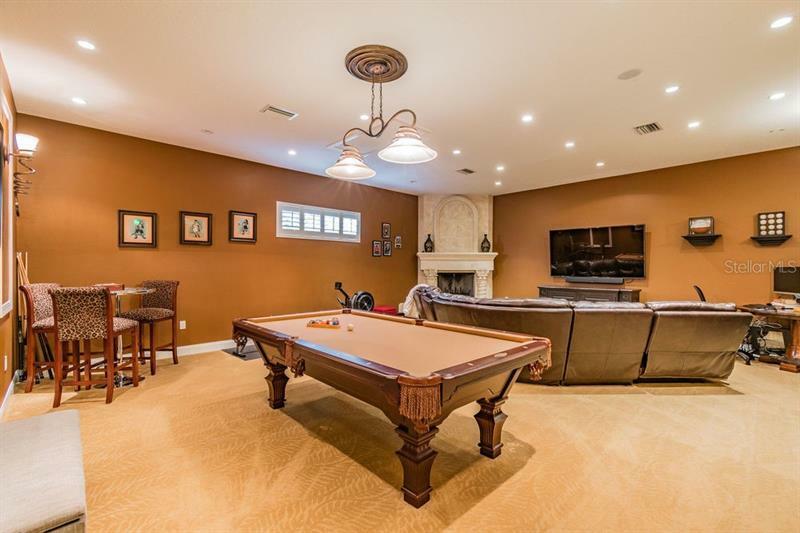 Additionally found on the first floor is an added game room. 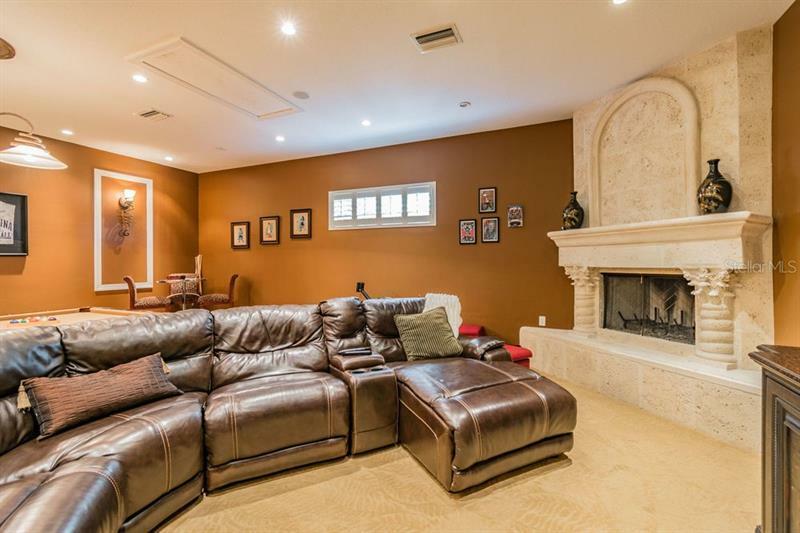 It has a wood burning fireplace with french doors to the outdoors and is an exceptional space for all of your entertaining needs. 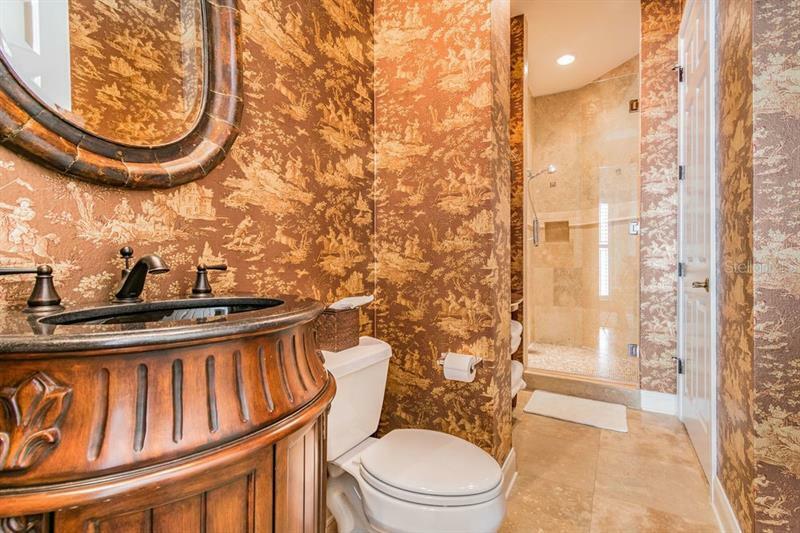 The upgraded pool bathroom is close by. 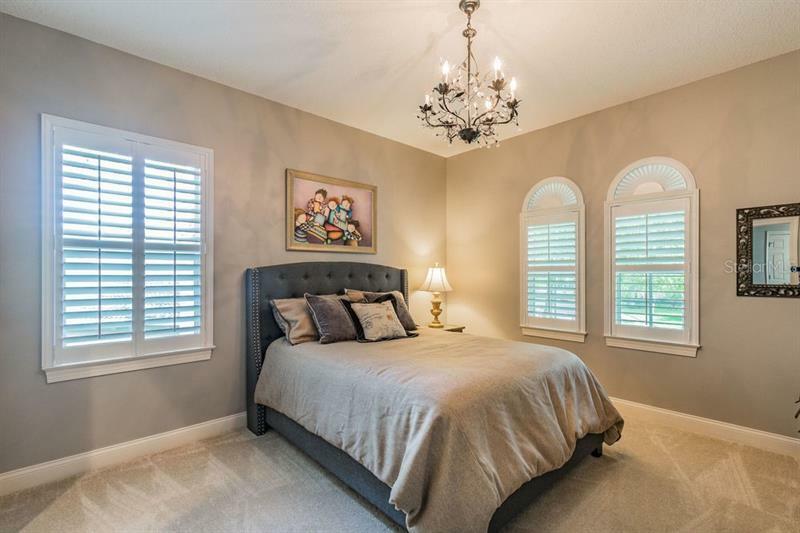 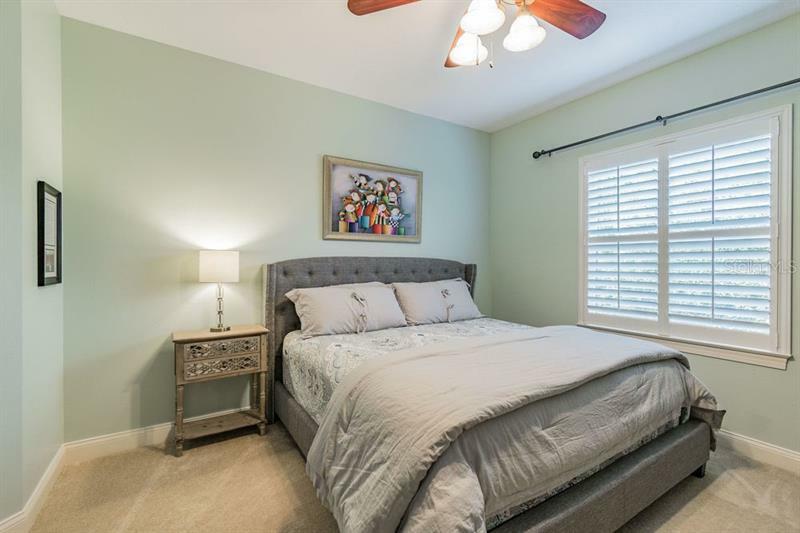 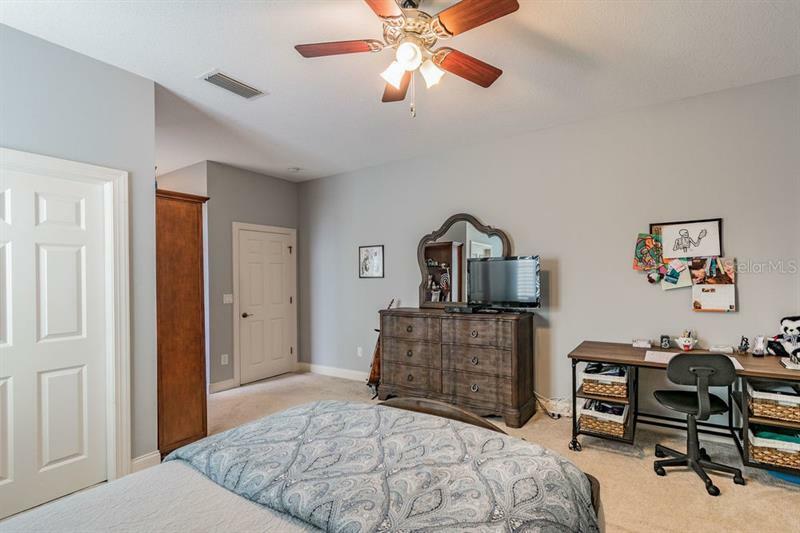 Upstairs you will find four spacious bedrooms each with large closets. 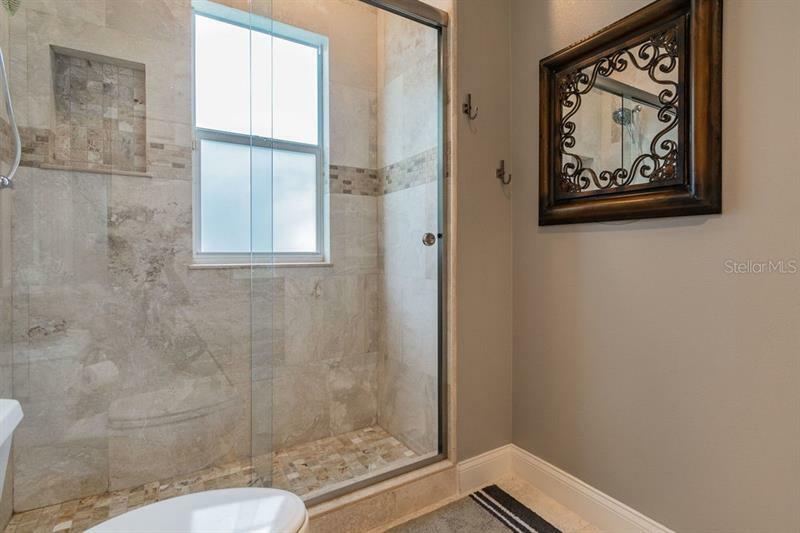 The upstairs has doubled paned hurricane resistant windows. 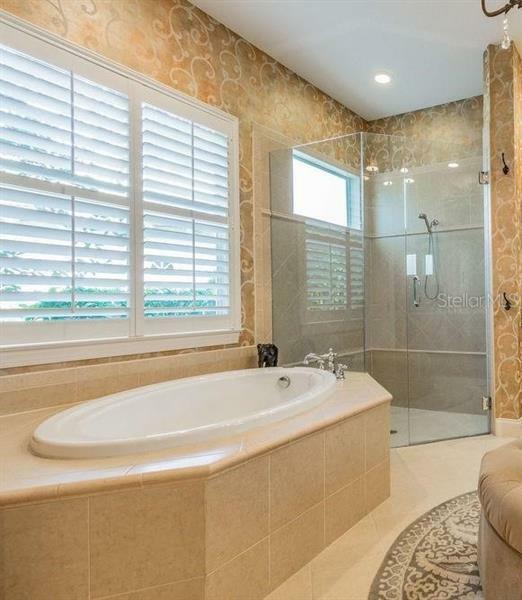 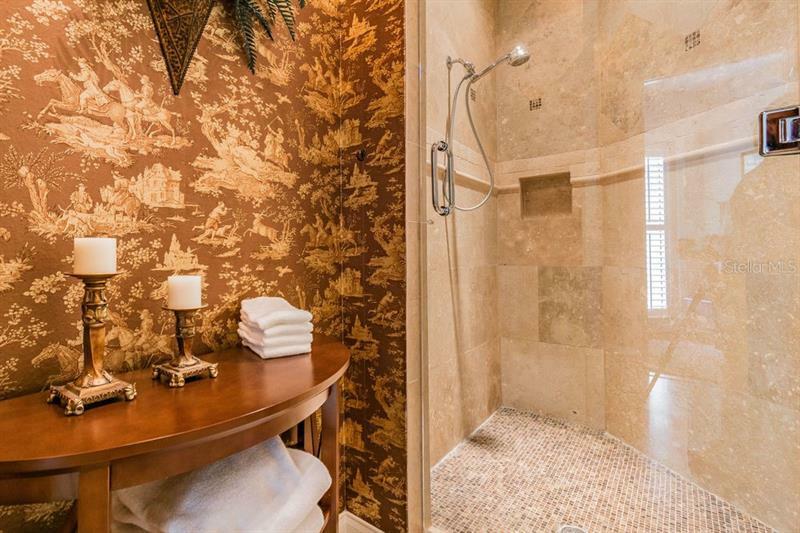 The two jack and jill bathrooms have been remodeled with stunning travertine tile. 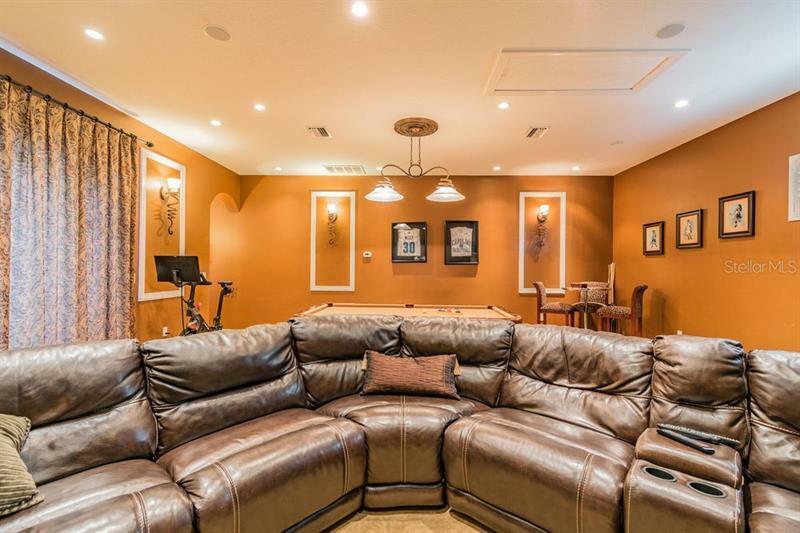 There are a 2 car garage and a separate 1 car garage that is great for storage. 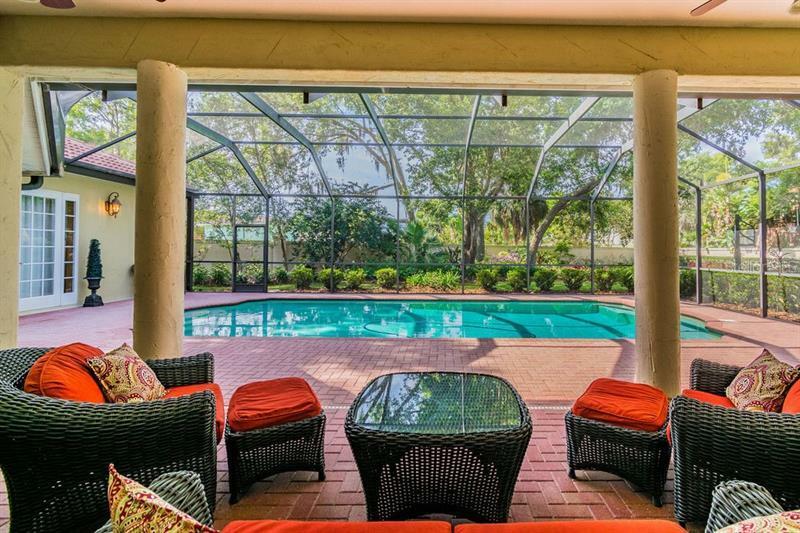 The impeccable landscaping is gorgeous. 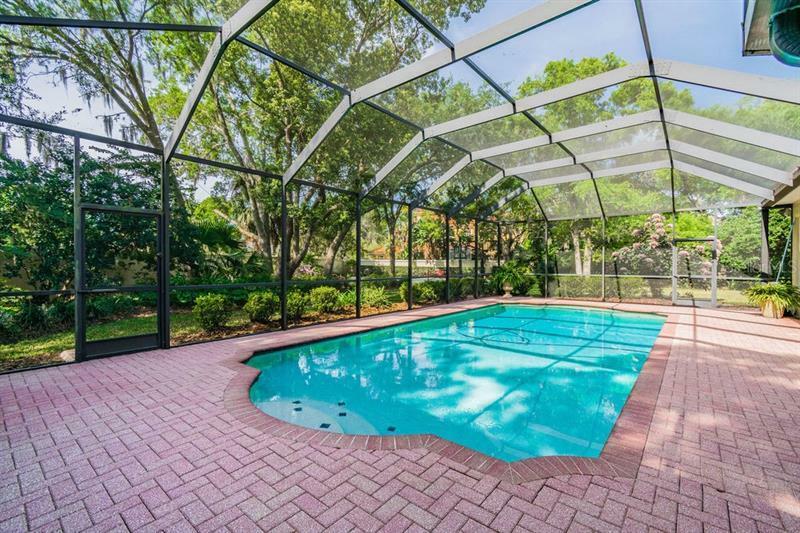 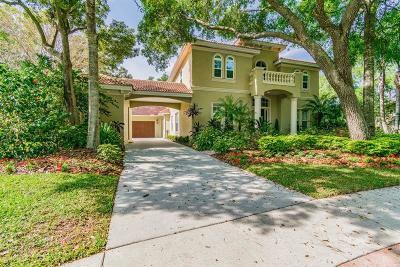 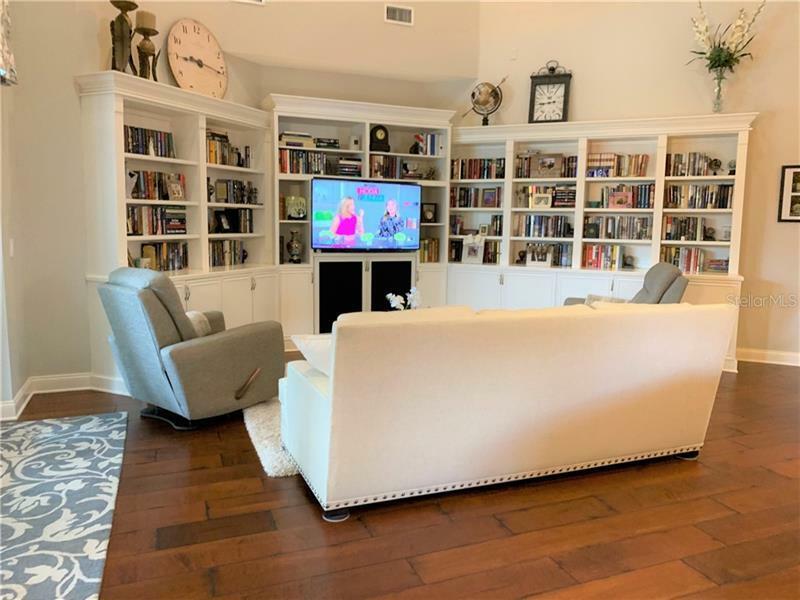 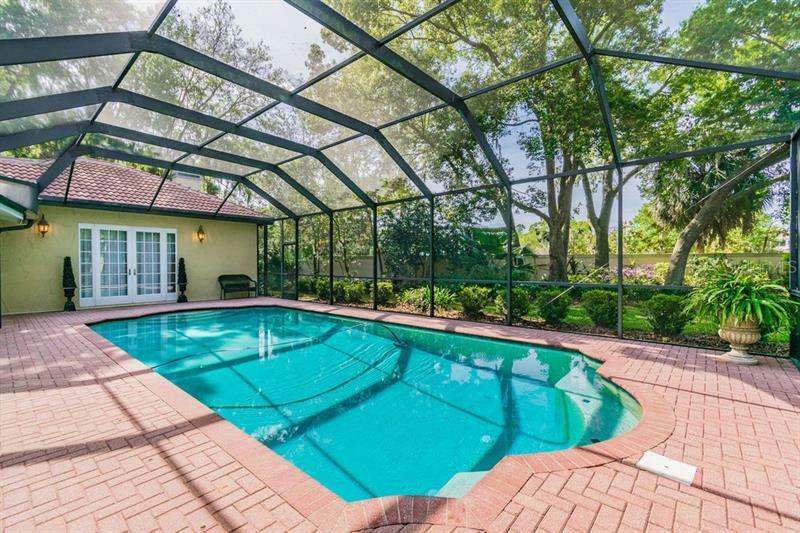 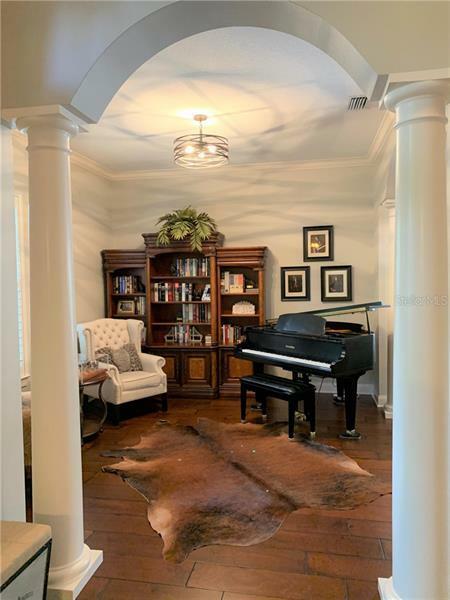 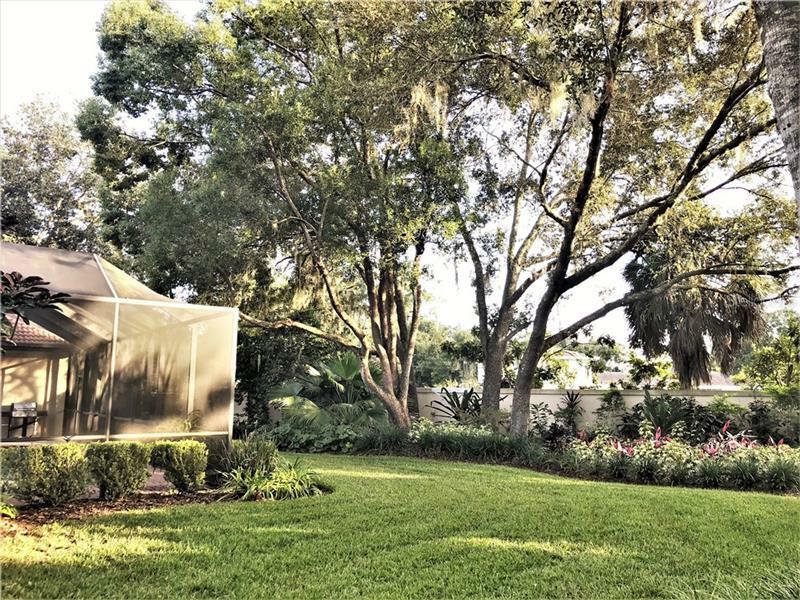 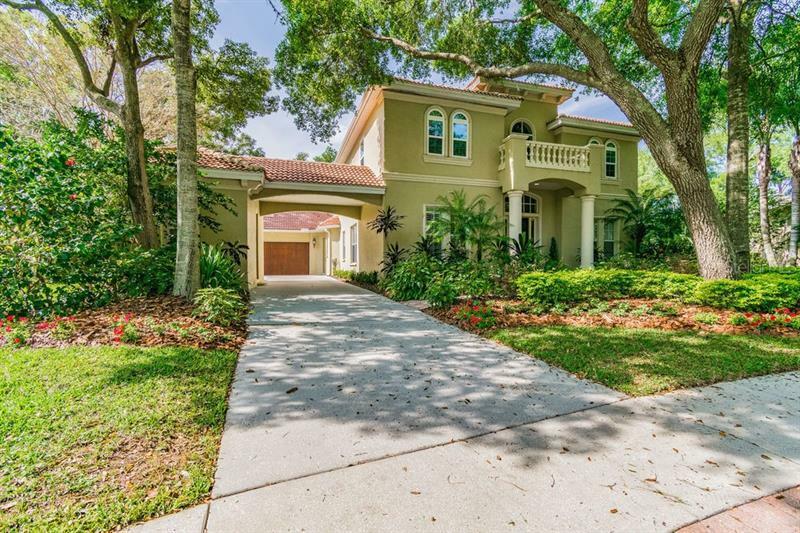 This magnificent home is ready for you to call it home!